The luxurious four star Hotel Tsanteleina is situated in the commune of Val d’Isère in the Tarentaise Valley in the South-eastern Savoie department of France. Val d’Isère is home to many ski slopes and ski schools, including the French National Ski School. 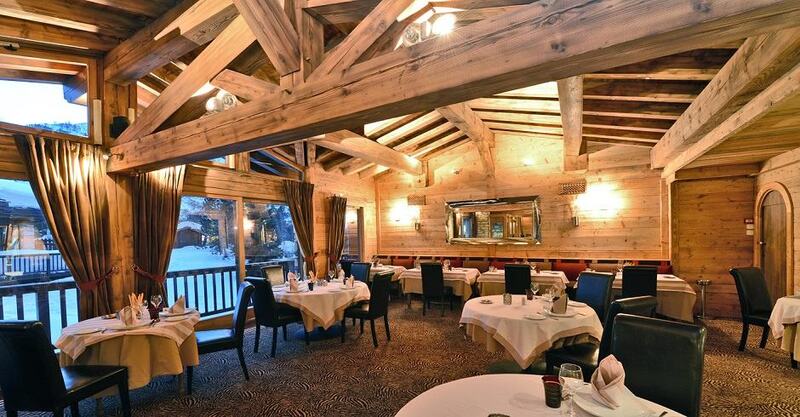 The chalet-style Hotel has four distinct areas of excellence: the hotel itself, its health spa ‘Pure Spa’, the Bar ‘M’ and the gastronomic experience of the restaurant La Table des Neiges’. The Hotel has a history of family ownership and achieves high levels of excellence across all of its facilities. There are 62 rooms offering accommodation in twelve categories, from standard rooms to suites. The accommodation offers views of either the mountains to the south, or the village to the north. The Spa covers an area of 600 sqm spread over two floors, and adopts a Japanese style. On the upper level there is a swimming pool heated to 28C, surrounded by French windows that provide a perfect view over the snow-covered landscape outside, and there is also a Jacuzzi and a fitness room. On the floor below the Spa offers a sauna of 90 degrees and a Hamm am with two rooms of different temperatures. The lower floor also has a beauty area with skilled beauticians offering Decléor aromatherapy treatment. The lounge ambience, combined with furnishings and décor designed to reflect its magnificent surroundings make the Bar M a place to enjoy ‘Apres ski’ or simply meet friends, family and make new acquaintances. The menu of drinks available covers fine champagnes, cocktails and a selection of wines and beers that will meet all tastes. The free wi-fi access across the entire hotel also makes the bar suitable for relaxing and getting in touch. The flexibility of the Bar’s design means that sections can be made into more private areas in which private functions and events can be hosted. La Table des Neiges offers a dining experience across the A la carte, set and Dégustation menus in elegant but relaxed surroundings characterised by wood and stone to reflect the surrounding landscape. The restaurant boasts a list of fine wines to accompany any meal, with very reasonable pricing. During the winter months Friday evenings see the restaurant offering the ‘Great Seafood Buffet of the Tsanteleina’. The restaurant is open every winter evening and welcomes non resident diners.